Are asylum seekers illegal, or is it politically expedient to brand us so? 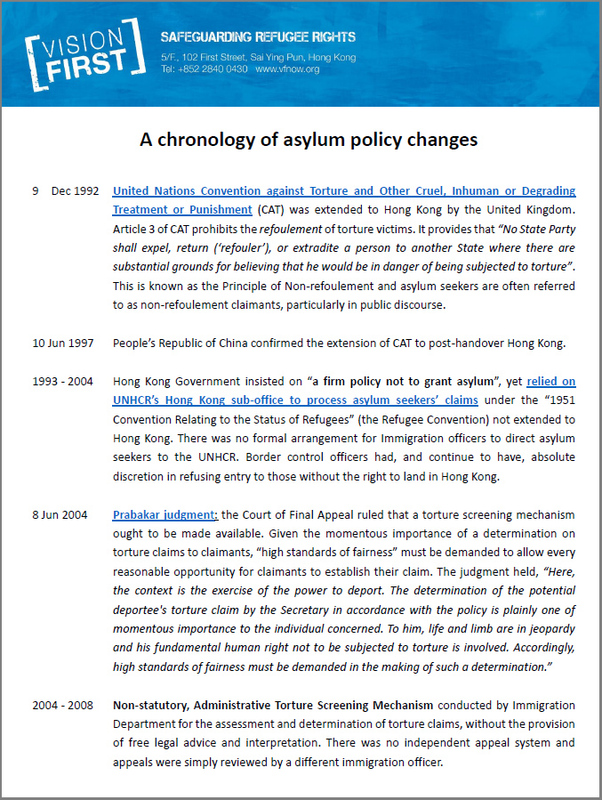 For decades Hong Kong Government’s particularly the Security Bureau and the Immigration Department classified asylum seekers as ‘illegal immigrants’. Before I proceed further into the failed asylum system, let’s first go back to asking ourselves a question. Are asylum seekers really illegal immigrants? Let’s consider the following. Under international law, it is not illegal to seek asylum. Article 14(1) of the Universal Declaration of Human Rights provides that ‘everyone has the right to seek and to enjoy in other countries asylum from persecution’. Here I should disclose that I availed myself of this life-saving right 10 years ago when I fled to Hong Kong. By the way, I am a refugee and I have been waiting for a decision on my claim since 2006, which is disappointing to say the least. 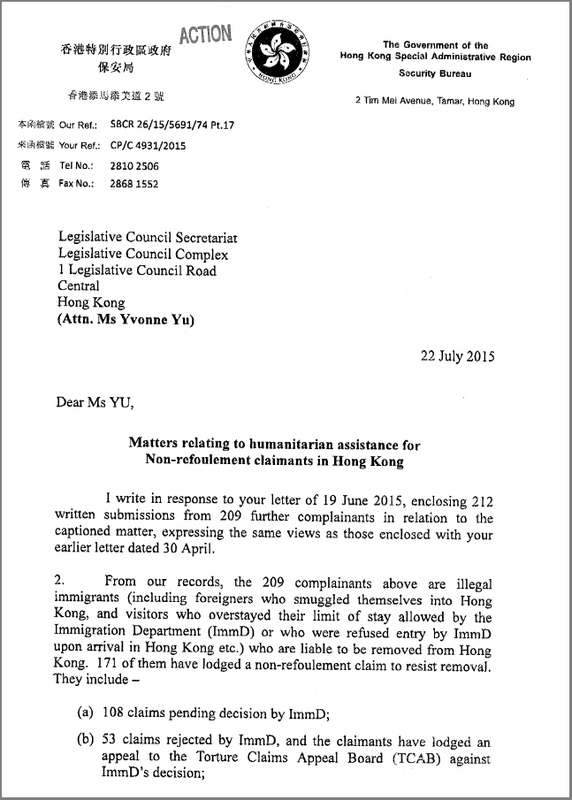 For years the Hong Kong Immigration Department has classified and prosecuting asylum seekers who entered illegally, or overstayed visas. This includes vilifying as criminal asylum seekers who sometimes have no choice but to use fake documents to flee to safety. 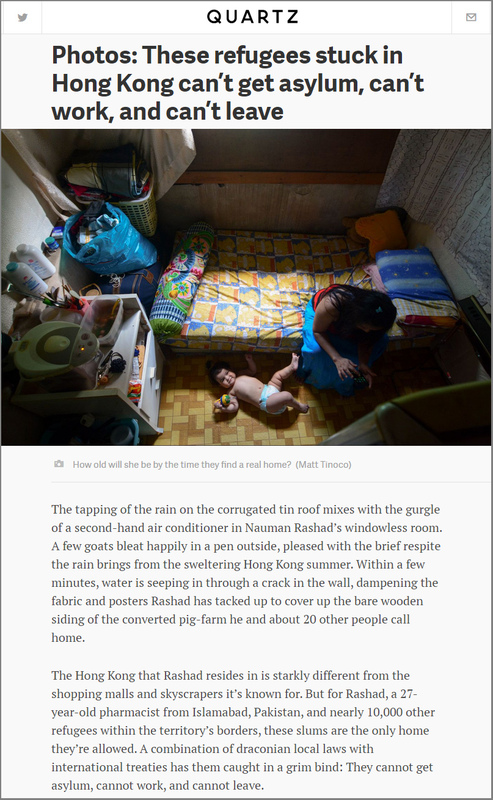 It is a pity for Hong Kong – dubiously dubbed Asia’s World City – to punish asylum seekers who entered with non-genuine documents. I asked myself, are the people working at Immigration capable of their duties, or are they following orders without common sense? One doesn’t have to be a genius to know that, people running away from life-threatening situations are allowed to travel on any form of identity they can grab in the urgency of flight. Are asylum seekers illegal, or is it politically expedient to brand us so? Broadly speaking ‘Illegal Immigrants’ are hardship travelers who enter a country without meeting legal requirements, for example, without a valid visa or justification. But the similarity with asylum seekers ends here, because the former plan to return to their homeland in the future, while the latter went into exile to avoid physical harm and possibly death. Not the same, right? 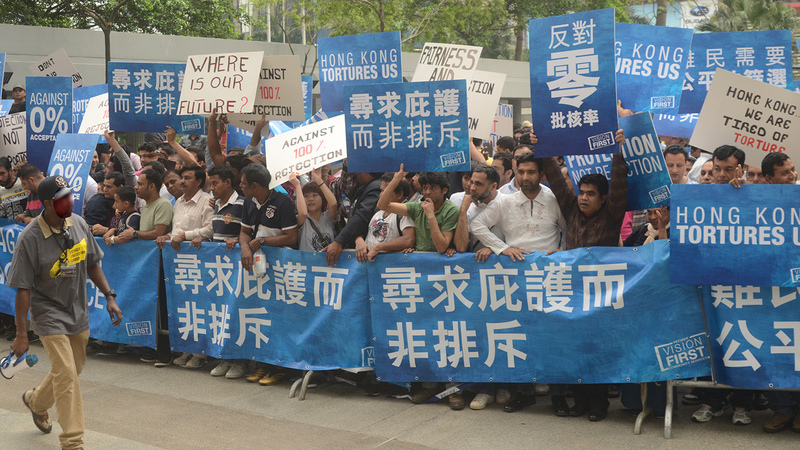 As long as Hong Kong supports the “UN Convention Against Torture”, the Government is bound by duties not to return to risk states persons who claim to face torture or cruel, inhuman or degrading treatment or punishment. Therefore, I urge the Hong Kong Government to thoroughly look into the decision makers whom instruct immigration officers to break international laws to favor the interest and agenda of the leading class. We are asylum seekers, not fool. We are not illiterate whereby the government and Immigration can insult or play with our intelligence. It is ridiculous how press releases and certain media reports vilify refugees as a collective of illegal immigrants! They should have done their homework better, before choosing such offensive and unjustified words. It is time for the media to stop falling for propaganda. It could be argued that reporters who call refugees ‘illegal immigrants’ are in breach of journalistic ethics for failing in research and due diligence. I wonder if the companies they work for could be sued. My message to the Hong Kong Government and Immigration is that, you need to wake up and grasp the concept that: There is no such thing as a bogus or illegal asylum seeker. Anyone in the world is entitled to seek protection in another country and have his or her claim assessed. The fairness and credibility of the process is of course entirely a different matter. As a final note, asylum seekers cannot be maligned or prosecuted for entering a country without authorization, or the right paperwork in the moment of escape from danger. That would be akin to expecting that people to put on their Sunday clothes before escaping from a building on fire! A tale of two cities – fabulously wealthy or agonizingly destitute? What happened next was symptomatic of the sickness that pervades our society – unnoticed and unassisted the poor agonize among the affluent. In the overcrowded and guarded lobby of the SWD, 20 unintimidated men and women raised a hand. “Homeless people are a crime risk as they might commit offenses out of desperation,” a concerned police officer whispered. Nevertheless, this warning appears to be largely ignored in the offices of the Security Bureau, the mastermind behind refugee policies in Hong Kong. This semi-autonomous global city follows a precept that is plainly depicted in its distrust towards the poor that frequently makes the news. Two visitors recently arrived in Hong Kong. One was the business magnate Jack Ma, the richest man in China and founder of the fabled e-commerce company Alibaba. The other was the less prominent Jagadeep, who claims to be a victim of the “corruption that is eating away at India like a termite and is coming from the top”, as Indian Premier Modi lamented. Two visitors with two experiences worlds apart. It was reported in the press that Jack Ma purchased a fabulous home on Hong Kong’s Peak for an eye-watering HK$1.5 Billion – the second most expensive property purchase in the history of the city. Government rules and regulations facilitate the entry into Hong Kong for the wealthy, who are shamelessly feted and encouraged to spend, purchase and invest to their heart’s content. Jagadeep’s experience was less wonderful and included several weeks of homelessness. 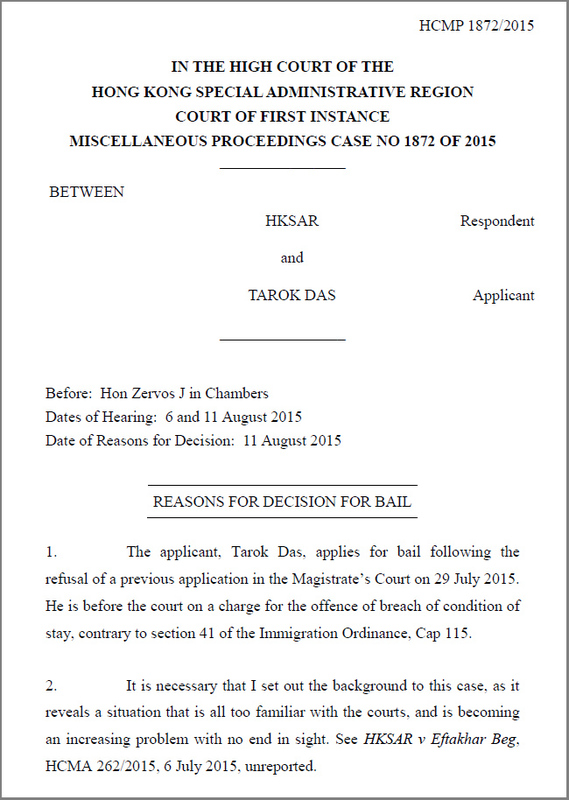 He was granted a one week visa which he was obliged to overstay to seek asylum, thus committing his first offense. 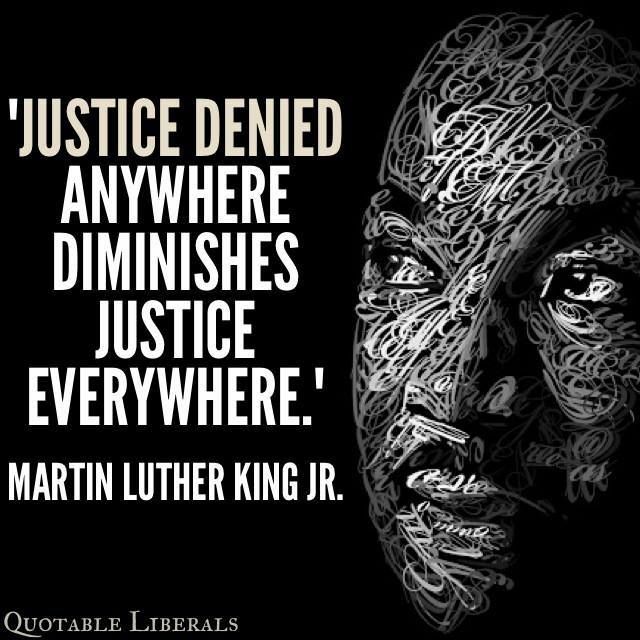 He was then detained for a month and pressured to depart by the Immigration that is struggling with 10,059 asylum seekers shamefully homogenized into a melting pot of distrust, vilification and rejection. It is a tale of two cities. Jack Ma surely deserves to enjoy the fruits of his success from the balcony of his new mansion overlooking Victoria Harbour. 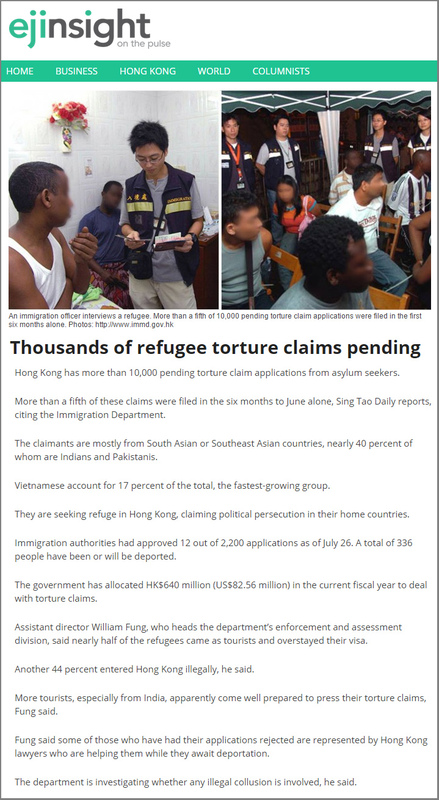 Part of his purchasing price was HK$12,750,000 in stamp duty paid into government coffers to fund policies that include the Social Welfare Department’s “Provision of Assistance-in-kind for Asylum Seekers and Torture Claimants”. Like an anxious billionaire terrified of becoming poor in 20 years, Hong Kong Government is obsessed with hoarding HK$734 Billion in fiscal reserves and abstaining from alleviating poverty among those who today don’t have food and shelter. 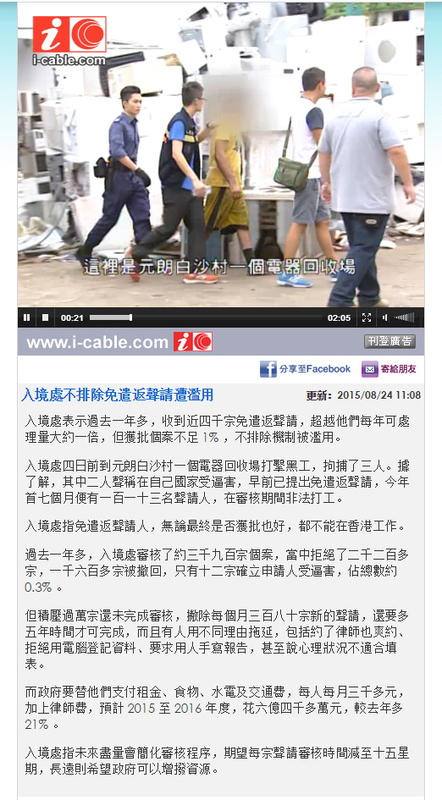 Shoulder to shoulder with 1.3 million impoverished Hongkongers, stand Jagadeep and 10,000 refugees who “we will continue to ensure do not fall destitute whilst in Hong Kong,” claims misleadingly the Security Bureau. “We will fight for our rights until there is change” promised an empowered Refugee Union member. But Vision First has serious reservations this is achievable in the near future. It is heartbreakingly obvious that Hong Kong Government turns a blind eye to the destitute, resident and otherwise, while crushing refugees behind bureaucratic lies supported by preposterous assurance that nobody will fall destitute while seeking asylum in the city that Jack Ma loves. Security Bureau replied to the Legislative Council Secretariat concerning 500 complaints letters lodged by members of the Refugee Union on the inadequacy of welfare support. After a few days, Tommy was admitted to Queen Elizabeth Hospital where he spent ten trying days in the psychiatric unit. Upon discharge he was sent to a shelter where he experienced the failures of an underdeveloped welfare system for refugees in 2004. Eventually he was taken in by a church which still supports him. Tommy took education very seriously; he graduated from high school and went on to obtain a degree in business management. Tommy obtained an African passport through the intervention of a maternal uncle who provided the statements necessary to confirm family ties prior to his abduction by the rebel group. 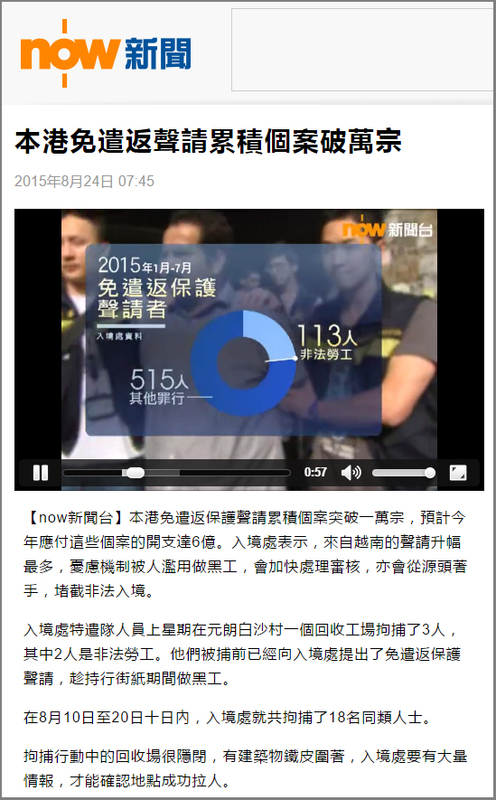 The Beijing console interviewed him in Hong Kong, then a passport was issued without requiring travel to his homeland. “Immigration was not happy that I applied for a passport” Tommy said. More than three years after his marriage, the Legal Aid Department accepted Tommy’s application to judicially review Immigration’s refusal of his dependent visa. His lawyer is confident that the bureaucracy of rejection will crumble when the writ is filed at the High Court, because the legal grounds to condemn Tommy to a lifetime of welfare and marginalization may be challenged. It is regrettable that compassion is rarely shown to refugees who try their level best to integrate into society.